Finally. 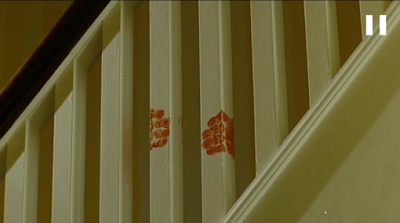 I've finally managed to watch The Brood - as you might have cunningly guessed, seeing as this is a review of the movie by yours truly (aka me, myself and the beast within*). 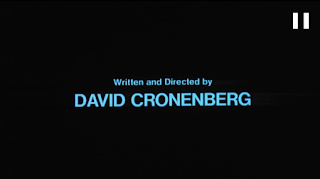 David Cronenberg. A man who is as fascinated by the topic of change and transformation than I am by liminal states of transformation. If you can see the similarities (no worries, they are easy to spot even for dimwitted readers, although I severely doubt that any of my readers fall into that category), you should understand why I love the guy and his work, behind the camera as well as in front of it. 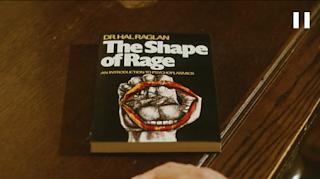 But, enough of me going all fangirl over Cronenberg and on to the movie at hand. Nola Carveth is a woman who, for reasons lying in her childhood, needs to undergo an intense psychotherapy. Having had to deal with an abusive mother and a father who was too weak to defend the girl Nola against her mother, she is all screwed up in the head. Now, that is more or less the situation of a good percentage of the world's adult population... so what makes this psychotherapy different to others? 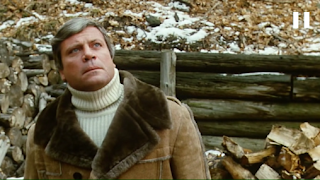 "Psychoplasmics" is a new brand of psychotherapy, as developed by Dr. Hal Raglan (Oliver Reed). The catch is that, during this form of therapy, the patient's body transforms - basically, it works like psychosomatics. Your body transforms in order to fit your mind. A man who has been suffering all his life under an abusive father, abusive stepfather and lack of an understanding father figure develops disfiguring welts, and another man developed lymphatic cancer, apparently due to his intense self-hatred (good thing I'm not doing anything like that... having a weird psychotherapy, I mean...). 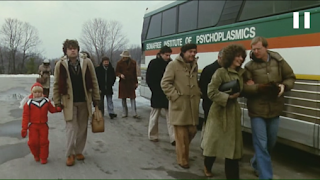 Now, you'd think that people would be wary of something like that - I certainly wouldn't start therapy if I had to consider that there is a distinct possibility of my body going even more haywire than it already does... but alas, it was the 70s, and things were different back then. For example, people were allowed to smoke. Now, the thing that makes Nola different is... well. Her physical changes are a bit more ...drastic than those of other patients of the esteemed Dr. Hal Raglan. She doesn't just show psychosomatic symptoms or more drastic physical changes, like cancer running wild through her system. No... in her case, she gives birth (if that word can be used) parthenogenetically to the titular Brood - deformed, creepy children which are telepathically linked to her subconscious. And they are attacking those who want to destroy her dreams of a happy life with her child, Candice, and her not-so-loving husband Frank. The Brood is indeed the shape of Nola's rage... and that rage is directed against those who in any way threaten her and her dreams. I have to admit that the script (also written by Cronenberg) is not exactly one of the most complicated ones - the movie plays out predictably, and there is no element of surprise to the kills and their order. 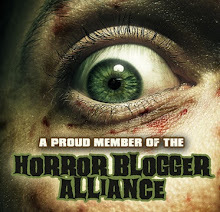 If you are in any way familiar with horror movies, you'll sit right in front of your screen, nodding to yourself as the Brood kills its way through the people responsible for Nola's problems - and problems she has... verily so**. 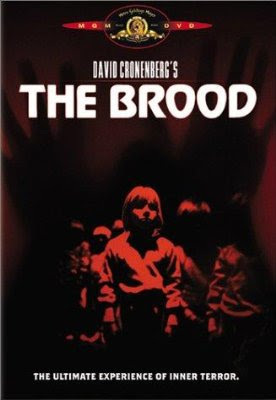 There isn't that much to give away in The Brood, but nonetheless, it is a very engaging movie. Not one second did I feel any sort of boredom - which you might not have inferred from my complaint about the predictable script. This is where Cronenberg truly shines - he can take a story, give you hints how it will play out and and he will play all of it out, without any surprising twists, or big and unexpected turns of events or scares. What he does is running along with how the story is supposed to play out, showing us just enough to confirm our suspicions... and yet, it's new, engaging, interesting and at times gritty to watch. The Brood is spectacularly low on the gory end of things - although we get four kills, all of them the same modus operandi, they are not particularly bloody and violent (then again, that might be my skewed perception of violence - I imagine being bludgeoned to death to be quite a painful and violent experience, but no matter how much I know that, the scenes just didn't register on my violence-radar). However, that doesn't matter at all - and I am a gorehound at heart. No, what The Brood manages to do is to let us glimpse into the terror of change. Yes, recently, throughout the past years, the subgenre of body horror has risen to new heights, and Cronenberg was particularly absent from the movies that have mercilessly shown us the first-person or third-person perspective of involuntary transformation - but still, he is the undisputed master of venereal horror. Camera and light are not exactly what I'd call great pieces of art, but they're not bad, either. Above average, yet never so obvious that they'd take away from the story that unfolds before the eyes of the viewer. And I cannot stress enough that this story is a captivating one, although we pretty much know how things are going to turn out. Although I am in no means a filmmaker, and although my contacts with the world of movie-making have only been minimal, I think I can still state confidently in my position as a writer*** that there is an art to making the already known and expected seem more than just interesting - to make that which everyone already expects into a captivating story that unfolds and doesn't lose its psychological grip. This movie is more than just entertaining - and if you're in any way like me, you'll probably enjoy the movie just as I did. *A friendly nod goes to the BZFOS here. **As I already mentioned in another review of mine (can't remember which, though), the word "verily" can be used in a great way to add emphasis to a sentence, as well as killing any sort of idiotic question as to the validity of the statement made in said sentence. But here I just use it for stylistic reasons... and, admittedly, a bit of emphasis. I just needed it. ***Yes. Indeed. I write. Now stop laughing and scroll down!